1) The Firehawk FX was built for us classic rockers! Unlike any other IOS / Android / Mobile only device out there, this is a fully functional stand-alone unit further enhanced by an app. But, if you’re not into the apps, that’s okay. This still will rock your world as a standalone tone machine! 2) Line 6 kept it real, by adding real amp controls! 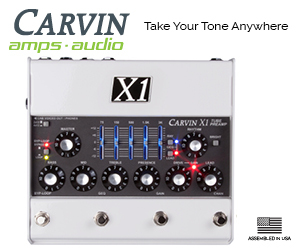 With Volume, Drive, Bass, Middle, Treble, FX, and Reverb controls at your fingertips, what more can you ask for? 3) It’s Gig Ready, but this is no ordinary floor controller! This works equally well on a table top for those that don’t like floor units and can easily be carried to the gig. Whether it’s on the table or on the floor, it will get the job done. You can have your cake and eat it too! And who the hell doesn’t like cake? 4) Love stompboxes? Well, stomp away! Connect it any way you want! 5) Line 6 gave guitar players everything INCLUDING the kitchen sink. Want to plug into the front of an amp? Great, you can do that. How about direct into a DAW? Yup – hit a button, and it’s voiced for that! Mono? Yes. Stereo? Yes. Quarter inch? Yes. XLR? Yup, that too. STEREO EFFECTS LOOP to patch in your favorite effects? Yes. Getting the point folks? Before you ask any more questions … the answer is YES! Every Amp, Every Effect at your fingertips! 6) You get every amp, and every effect you can possibly want with a few clicks of an app on your favorite mobile device or laptop. IOS / Android geeks … pay attention here. Want some options? The Firehawk FX gives you options. Diezel? ENGL? Soldano? Marshall? Plexi? JCM? Vox? Blackface? Tweed? Deluxe? Jazz Chorus? Yes. Yes. Yes. Yes. Yes. Yes. Yes. 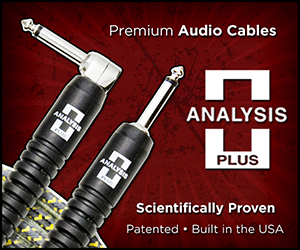 A full arsenal of gear at your fingertips! 7) Line 6 has been doing nothing but this since Day 1. 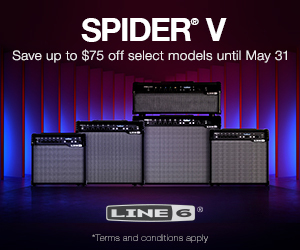 If you want the best of the best amp models, effects, and more – Line 6 will get you there. Period, nuff said. In life, there are followers and leaders, and in this case, Line 6 is an undisputed leader. But they haven’t rested on their laurels. Now owned by Yamaha – they are bigger and badder than ever before. Whether you want to use this as a stand-alone unit, or integrate it with your effects, your Variax, outboard expression pedals, and tweak to your hearts content – the Firehawk FX delivers! 8) Built to Last. The Firehawk is built like a Tomahawk missile. All metal construction, neatly and evenly spaced even for the biggest, baddest rockers out there. It’s meant to rock, night after night. 9) It’s simple to use! Turn it on, pick a preset and rock. It’s not overly complex. Even the app – if you know what an icon is, you can use this app. Simply touch with your pointer finger! No scrolling, no deep editing menus, just a simple touch of the screen. Less time scrolling, more time rocking! 10) The most important thing … it sounds amazing! But, don’t’ take my word for it: Do be sure to check out Sweetwater’s demo of it. Mitch Gallagher does an amazing job, and will tell you everything you’ve ever wanted to know about this unit, in exactly 15 minutes. A must see if you’re considering the Firehawk FX! Watch below! If that’s not enough for you, here are some other great links worth checking out!